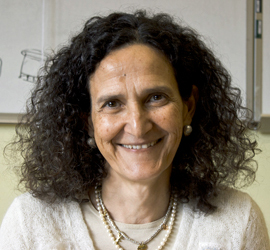 I am professor at the Department of Information Engineering Computer Science and Mathematics at University of L'Aquila. My research interests are in the field of the application of formal techniques to the development of software systems. These include software specification and verification of concurrent and distributed systems, deduction systems, and Software Architectures. Current research interests mainly concentrate in the field of software architectures specifically addressing the verification and analysis of software architecture properties, both behavioral and quantitative. On this topics I collaborate with several national and international companies. Recently I am working on the design and development of mobile resource aware applications. 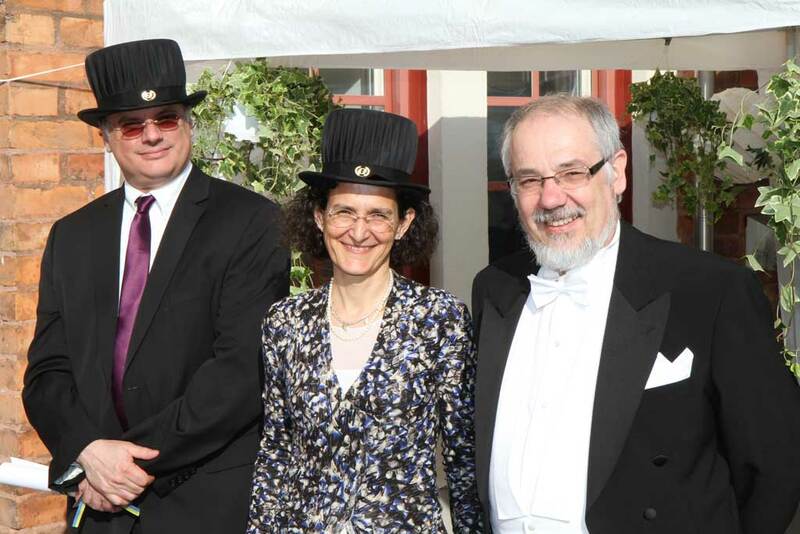 I'm member of ACM Europe Council, of Academia Europaea, and I received a Honorary Doctorate at Malardalen University. My short CV is available for download in Italian and English. for outstanding and sustained contributions to software engineering community. 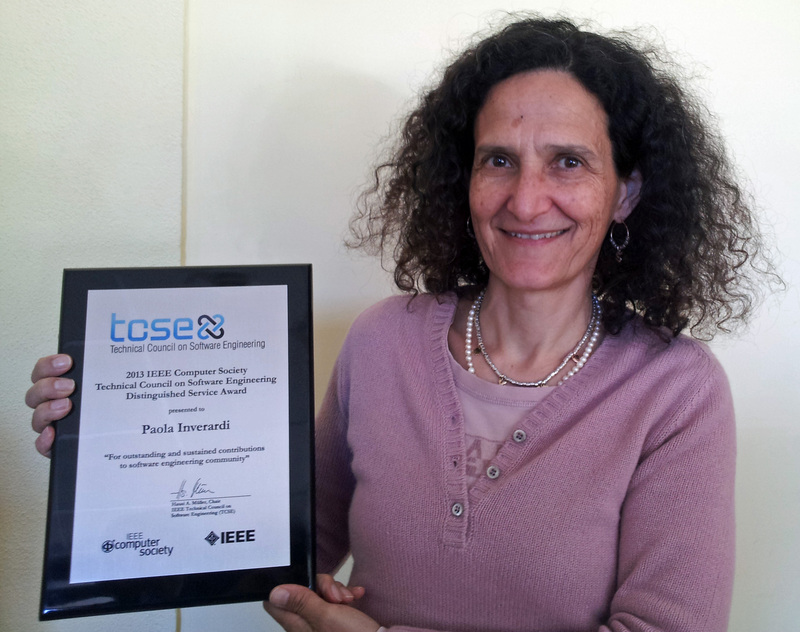 For more information please visit http://www.cs-tcse.org/awards. The list of my publications is available on my DBLP and Google Scholar pages. The CHOReOS (Large Scale Choreographies for the Future Internet) European project started in October 2010 and is directly linked to OW2 Future Internet initiative. The CONNECT (Emergent Connectors for Eternal Software Intensive Networked Systems) European project drops interoperability barriers by synthesizing on the fly the connectors via which networked systems communicate. The MANCOOSI (Managing Software Complexity) European project aimed at enabling safe, efficient maintainability of Open Source software infrstructure built out of software packages. The PLASTIC (Providing Lightweight and Adaptable Service Technology for pervasive Information and Communication) European project developed a comprehensive provisioning platform for software services deployed over B3G networks. The POPEYE (Peer to Peer Collaborative Working Environments over Mobile Ad-Hoc Networks) European project addressed peer-to-peer (P2P) collaboration architectures over hetero-geneous mobile ad-hoc networks (MANET). S-Cube, the European Network of Excellence in Software Services and Systems, has established an integrated, multidisciplinary, vibrant research community, enabling Europe to lead the software-services revolution and helping shape the software-service based Internet which is the backbone of our future interactive society. The d-ASAP PRIN project aimed at identifying (1) common and complementary approaches to the design, specification, and operation of dynamic pervasive applications, (2) joint development of prototype tools to assist the development and run-time operation of such applications. The ArtDeco FIRB project aimed at developing techniques and methods for the diffusion of "networked enterprises" among the Italian Small and Medium Enterprises, testing the proposed approach in association with companies working in two test fields (food and textile/fashion) during all the phases of the project, from the initial definition of requirements to the development of prototypes/demonstrators. CHAMELEON is a framework to develop, analyze and deploy adaptable Java applications for resource-constrained devices. An Integrated Development Environment, developed as an ECLIPSE plugin, provides developers with a set of ad-hoc extensions to Java for easily coding adaptable applications in a declarative way. A hybrid (from static to dynamic) Analyzer is used to calculate the resource consumption of the adaptable applications. Charmy is a framework which allows the specification of a software system SA through diagrammatic, UML-based notations, and the validation of the architectural specification conformance with respect to functional requirements. The automatic verification of software system SAs is obtained by means of the SPIN model-checker. PSC (Property Sequence Charts) is a simple but expressive graphical formalism for specifying temporal properties. Two are the main requirements of PSC, simplicity and expressiveness. Remaining close to the graphical notation of UML2.0 Sequence Diagrams, the requirement of simplicity is satisfied. The PSC expressiveness is measured with the property specification patterns.